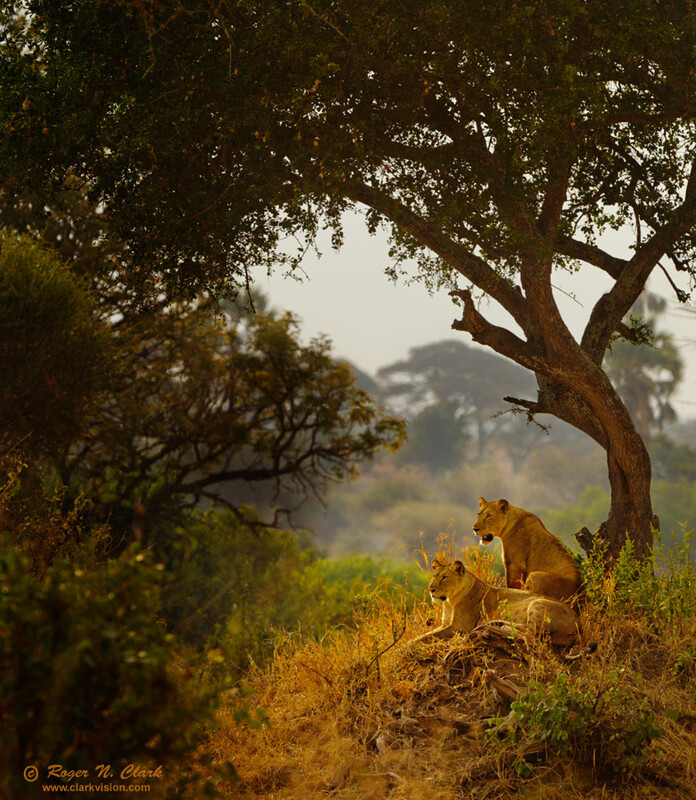 Two female lions sit on a hill looking for prey, early in the morning in Tarangire National Park, Tanzania. Technical. Canon 1D Mark IV 16-megapixel digital camera, 300 mm f/2.8 L IS lens with 1.4x TC, giving a focal length of 420 mm. Manual exposure: 1/2000 sec., ISO 400, f/8. Full width image.